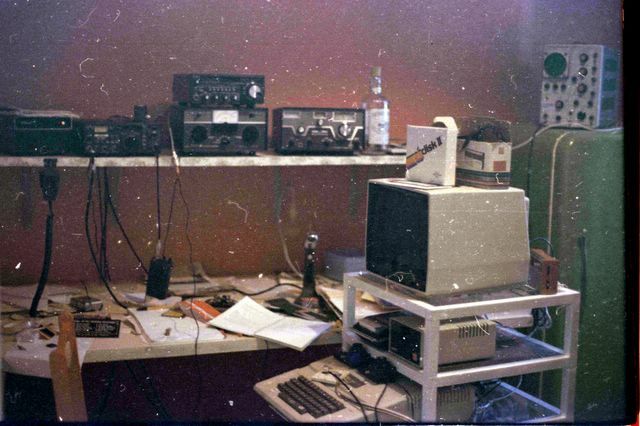 This was my hamshack in Marrickville, a suburb of Sydney, Australia. I had several different call signs in the land of OZ, but the one I made the most contacts with was VK2DJF. The computer was an Apple II. I made the computer stand out of aluminum. It featured glass shelves. On the shelf above the keyboard is an external floppy drive.